NAMELESS is the last man standing on Evil Geniuses right now. Evil Geniuses just confirmed another change to its Call of Duty roster. 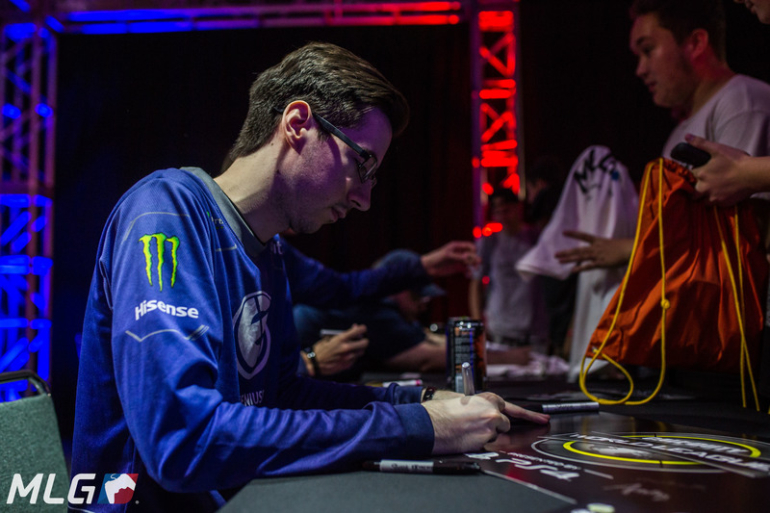 Jared “Nagafen” Harrell has been released from Evil Geniuses, the organization announced earlier today. The organization also released Christopher “Parasite” Duarte and Colt “Havok” McLendon on Aug. 16, which means that Anthony “NAMELESS” Wheeler is now the only player still under contract with EG. Anthony “Methodz” Zinni, who most recently competed with Echo Fox, announced that he will be teaming with Parasite and Nagafen heading into Call of Duty: WWII—so it wasn’t very surprising to learn that EG released Nagafen. Many Call of Duty fans are speculating that Nagafen’s release could mean that Evil Geniuses is interested in signing NAMELESS’ rumored roster for WWII. Patrick “ACHES” Price announced on Aug. 29 that he plans to team with NAMELESS, Bryan “Apathy” Zhelyazkov, and Ian “Enable” Wyatt in WWII—and Nagafen’s release seemingly opens up the necessary roster spots for ACHES, Apathy, and Enable to join NAMELESS on EG. Evil Geniuses has made no indication that it plans to sign ACHES’ roster, but today’s roster change could mean that it’s a possibility for the organization heading into the WWII season later this year.